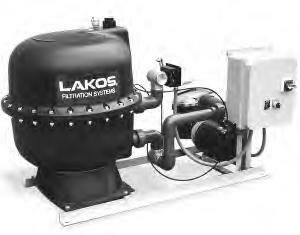 Exceeds industry specifications for keeping cooling water systems free of troublesome contaminants. Removes particles and floating debris. Controls build-up in tower basins and remote sumps. Helps maintain optimum operating conditions for reduced maintenance, servicing, downtime, energy costs, water loss and chemical usage.